Coll. No. 1376, 29 May 2016, characters observed: Annual, from slender taproot, to 10 cm. ; Leaves, basal, withered in fruit, entire, cauline, 0-1 pair per stem, 6 mm. × 2 mm. wide, entire, hairs branched; Pedicels, glabrous; Flowers, petals, color unknown; Fruit, distributed in upper ⅕-⅓ of rachis. Field Notes: Coll. No. 1376, 29 May 2016. 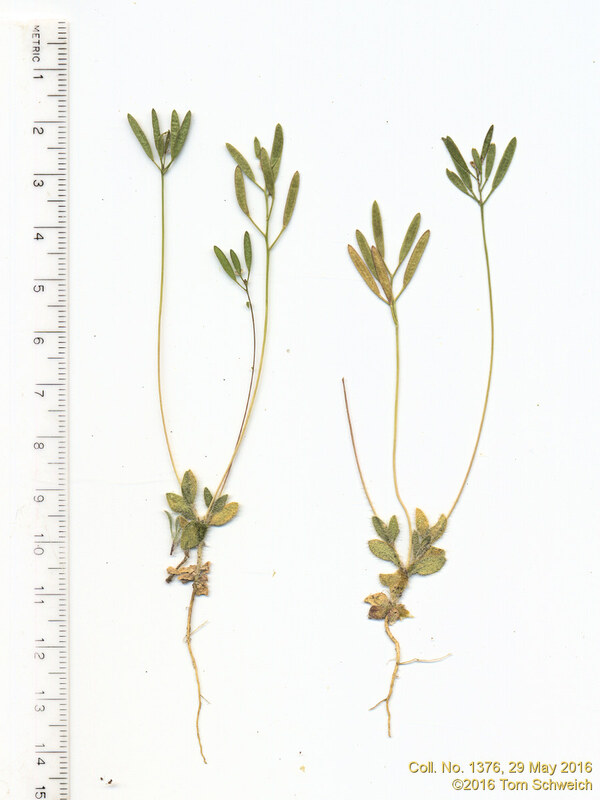 Other photos about Species - Brassicaceae or Brassicaceae Draba reptans.